It has been just about a year now that I have been doing book reviews — and I’m having a blast. I’d like to thank everyone who takes the time to read my reviews. But mostly I’d like to thank those that read books, those who write the words that inspire us, those that work tirelessly to see the book on a shelf. 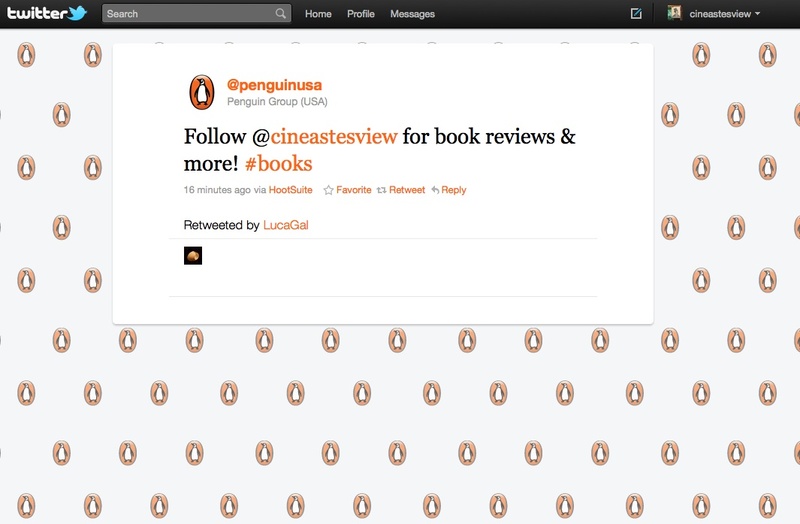 And thank you to Penguin for being very supportive to a rookie reviewer. Here’s to another year! ← A lovely shout-out from Penguin. As soon as I finish it! Are you going to do a blog on "The Parisians?"